still having this issue, nobody else has any ideas? But I don't know how to upload the video. I contacted EA support a few hours ago and he gave me a generic email, explaining how to reset cache, repair damaged files, etc. I did all that and restarted my computer, still the problem persists. So I went as far as to completely uninstall the game and re-install it, and yet still I'm faced with the same issue, despite it being a clean install, with none of my previous households or anything. After that I contacted support again and was told to update my video card drivers. I did that and restarted the computer once more, yet I still have the issue. not happy, as I just bought a bunch of new DLC for it and my house is glitching tf out. Sorry, I am from Taiwan, so the following grammars are all translated by google. 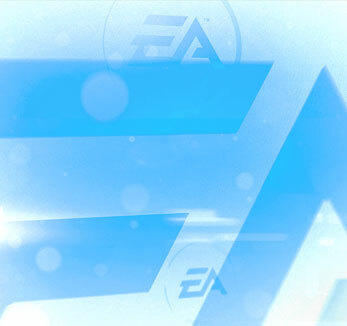 I also followed the instructions of the EA technical commissioner today, but it is the same problem, so I also reply to EA again, and you have the same problem return to EA, I believe EA has seen our troubles, waiting for good news. @mason0915 merged this thread with the other reports we've had - it's a known bug currently and is on our list. Replying to confirm that this same glitch is not limited to San Myshuno apartments. It is happening to me in Del Sol Valley as well. Other update: Updated my GTX 1060 graphics drivers and still no experiencing this issue. Please describe the patch or change you made. this occurred after the quick patch that was issued after get famous release. Steps: How can we find the bug ourselves? If you have a loft or any opening to a lower level in a build, the objects and sims below will vanish when you page up. This happens both in live move, camera mode, and build and buy. It may not happen in all games. What happens when the bug occurs? The objects and sims below will vanish when you page up. What do you expect to see? I expect to see the objects and sims below the loft in the building like i did before. Please describe the patch or change you made. The issue started right after the quick patch that followed the Get Famous release. I took out my entire mods folder and the issue still occurred. @taydevsim merged with existing reports for this issue. Steps: How can we find the bug ourselves? I'm not really sure how you can find this bug exactly i just found it myself and im including a picture. What happens when the bug occurs? As soon as you change to the floor where the stairs are located or leading up to you can see through the stairs. What do you expect to see? I don't really know I just wanted to report it so it can maybe be fixed. Please describe the patch or change you made. Since the latest Sims 4 patch. So the bug only occurs on the top of the stairs and if you go a floor down you can actually see them perfectly. I attached a screenshot so it's easier to understand. I removed all Mods, cleared my Cache and repaired the game to see if the bug is still there and it was so now I'm clueless how to actually fix it and hope you guys can help me. Also it occurs since the latest Patch.